Dr. Jennifer E. Percy grew up in New Brunswick, Canada and moved to Ontario as a teenager. Dr. Percy received both a Bachelor of Science and Bachelor of Arts from the University of Guelph, Ontario. Dr. Percy continued her education at the University of Connecticut School of Dental Medicine, renowned for its extremely rigorous medical education and the belief that the field of dentistry is concerned with the total overall body health. This training has instilled in Dr. Percy the confidence that providing the best dental care to her patients can be an improvement in their quality of life. Upon completion of dental school, Dr. Percy furthered her education at St. Joseph’s Hospital Center in Syracuse, N.Y. residency program. 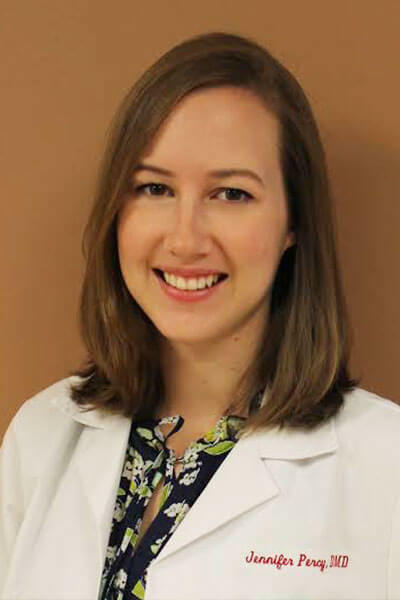 During her residency, Dr. Percy gained experience in adult and pediatric general dentistry in both clinical and hospital settings. Dr. Percy is a member of the Massachusetts Dental Society and the American Dental Association. Dr. Percy enjoys hosting game nights, hiking and skiing. Photography, reading and visiting farmer’s markets with her husband are also favorite pastimes.